How Many Kitchen Electrical Outlets Does Your Home Need? Whenever you’re planning to build or remodel your own kitchen, one important thing you must ascertain is to determine the number of electrical outlets you need. You may not want to end up having some faulty electrical wiring issues in the future, which may cause you bigger trouble. So, how many kitchen electrical outlets are needed? Through this article, we will determine some recommended practices and electrical code basics for your kitchen. Originating from the experts who worked in the field such as industry professionals, constructors, and electricians, your local or municipality has adopted these electrical kitchen codes. Apparently, this is to ensure that every household will follow. It also coincides with the National Electrical Code (NEC). What are these recommended practices, to begin with? Are you even current or updated with the kitchen code? Let’s find out and learn more about this! The requirement is to have a minimum of on 15-amp, a 120-volt circuit to feed any undercabinet lights, recessed lights and a ceiling fixture. As a rule-of-thumb, this should not be on a GFCI (Ground Fault Circuit Interrupter) circuit. Take note that this requirement is just a bare minimum to make sure your kitchen has some sort of permanent lighting. As you notice, it needs less amperage for light fixtures. However, you must increase the amperage if you wish to include more lighting in the kitchen. Electrical receptacles for countertops should have at least two 20-amp, 120-volt branch circuits to provide power supply to GFCI (Ground Fault Circuit Interrupter). As these are used mainly for small appliances, a 20-amp is recommended as it entails higher power requirements in your kitchen. Remember that countertops are earing areas where mixers, toaster ovens or blenders are in place. Thus, it needs two circuits. Dishwashers, stoves, refrigerators and any other fixed appliances must be provided with its own dedicated circuit. The word “dedicated circuit” should be kept in mind to make sure that your appliances won’t affect other areas in the kitchen. The requirement is to have one 20-amp, 120-volt own circuit, wired with 12/2-gauge cable. You must also understand that this should not be on a GFCI circuit. For the microwave oven, a 20-amp circuit can handle its higher power consumption and requirements. One 15-amp, 120-volt dedicated circuit with a 14/2 standard cable is a requirement for a dishwasher. The circuit should not be GFCI and always make sure that the dishwasher has its own dedicated circuit so that it won’t affect other areas of the kitchen. You need to have one 50-amp, 120/240-volt dedicated circuit connected with a suitably sized wire cable for your electric range. As recommended, this should not be on a GFCI circuit. As compared to other appliances in your kitchen, electric ranges can draw more power; this, it needs a 50-amp. Also, it has to have a dedicated circuit, so it won’t trip other appliances or your lighting in the kitchen. You must allocate for one 15-amp, 120-volt circuit connected with 14/2 cable for your garbage disposers. Like other fixed appliances, it needs to have its own dedicated circuit and should not be GFCI. As you know, garbage disposers don’t have an extended run, so it can trip off the circuit breaker, which will turn off other appliances or areas in the kitchen. So, are you current with the basic code? The US National Fire Protection Association (NFPA) normally updates these guidelines every three years. The goal is to meet the increasing requirements and demands of the modern kitchen. It is, therefore, essential to always be in the know to address any electrical concerns in your kitchen. 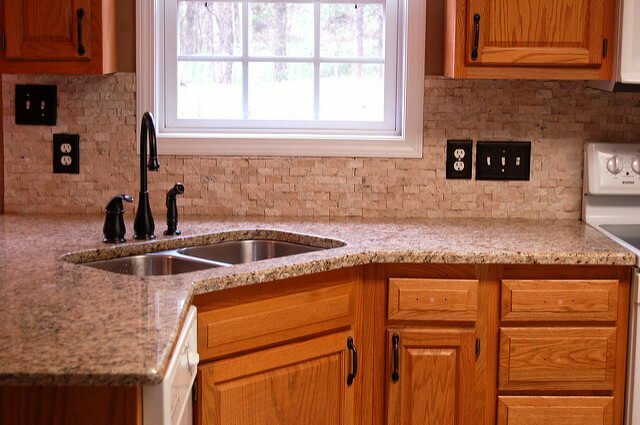 You may not want your kitchen remodeling project to be affected because of not merely following the basic guidelines. Besides, this is more than just following the basic codes but rather intended for everyone’s safety inside your home. Now grab a professional electrical crimping tool and begin your kitchen wiring project! Wirefyshop offers reliable solutions for electrical wiring needs in high-quality connectors at a fraction of going price. The company is committed to delivering value to its customers by meeting their requirements for each and every electrical application.